The Facebook Phone could be the next tech product to follow the recently launched Google Drive from the land of myth into reality, according to an online report. Taiwan-based phone maker HTC is reportedly working with Facebook to produce an Android-based device that will "enable and integrate all functions available on the social networking site." The purported new phone could be available as early as midsummer, according to DigiTimes. Despite repeated denials and HTC-branded Facebook busts such as the Salsa and Chacha, there are several reasons for HTC and Facebook to work together DigiTimes says. 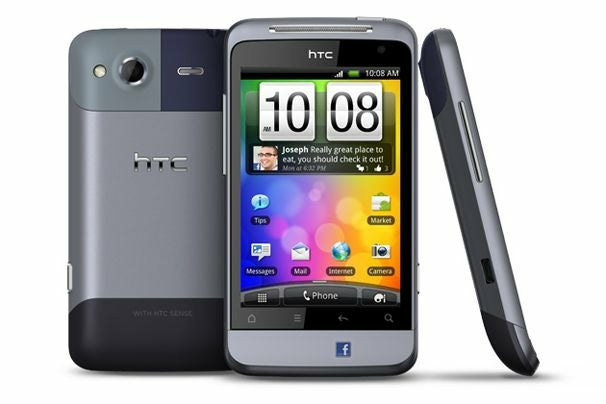 HTC wants an exclusive smartphone hit since the chances of HTC producing another Android flagship phone, such as the Nexus One, appear slim. Google currently favors Samsung to produce fresh Nexus devices including the Nexus S and Galaxy Nexus. Meanwhile, Facebook purportedly wants its own phone because the social network needs to find new sources of revenue after it goes public this year. Those sound like solid reasons, but I'm not buying it. Facebook may have to answer to shareholders soon, but so far the company has found success by putting its apps and plug-ins on every website, smartphone and tablet it can find instead of concentrating on hardware. Facebook's chief executive, Mark Zuckerberg, says as much almost every time these Facebook phone rumors come up. "Our goal is not to build a phone that competes with the iPhone or anything like that," Zuckerberg told Bloomberg News in late 2010. Facebook has done a fairly good job of updating and releasing new mobile apps for smartphone platforms such as Android and iOS, despite taking a ridiculously long time to produce a native iPad app. But if the company focused on its own mobile devices, that could come at the cost of competing platforms. Just look at Google, which is constantly leaving its iOS apps as an afterthought in favor of Android. The search giant was excoriated for producing a substandard Gmail app for iOS in November, and the recently launched Google Drive service currently lacks native iOS support. Whether Google is deliberately screwing up its iOS apps is debatable, but it's clear the incentive is for the company to deliver high-quality features for its own mobile platform first. That way of thinking does not appear to be go along with Facebook's "be everywhere" tactic. And let's not forget Facebook's bigger priority right now is developing its new mobile advertising strategy across all devices. 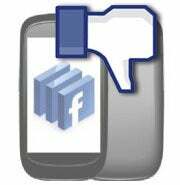 As for HTC, why would the phone maker want to take another run at a Facebook phone after the Salsa and Chacha? Those phones even had dedicated Facebook buttons on them, how much more integrated can you get? Besides HTC's big product line right now is its "One" series such as the recently released and critically acclaimed One S. Unless a Facebook One is in the works, I wouldn't bet on another HTC Facebook phone anytime soon.